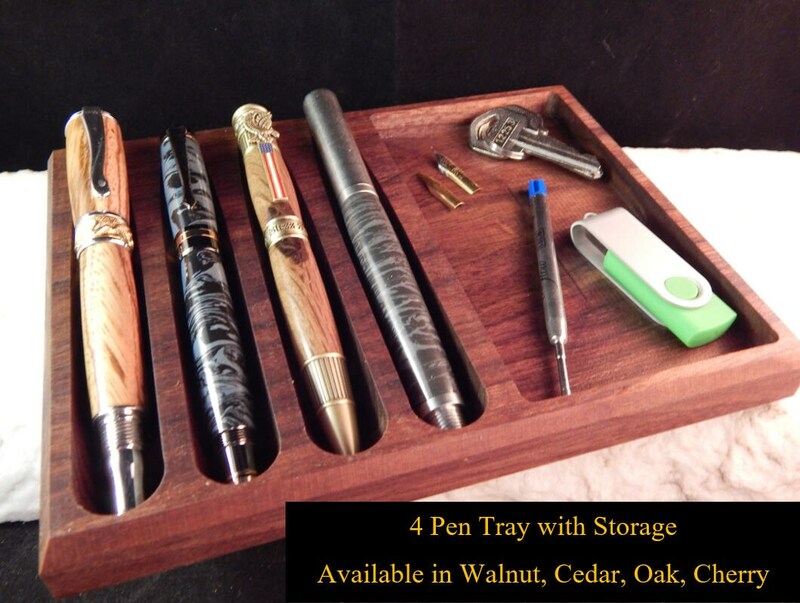 This pen tray holds four pens and has a storage area for nibs, inks, converters, paper clips, rubber bands, etc. The pens are held at an upward angle, so if fountain or rollerball pens are stored in the tray the angle will eliminate any leaking. 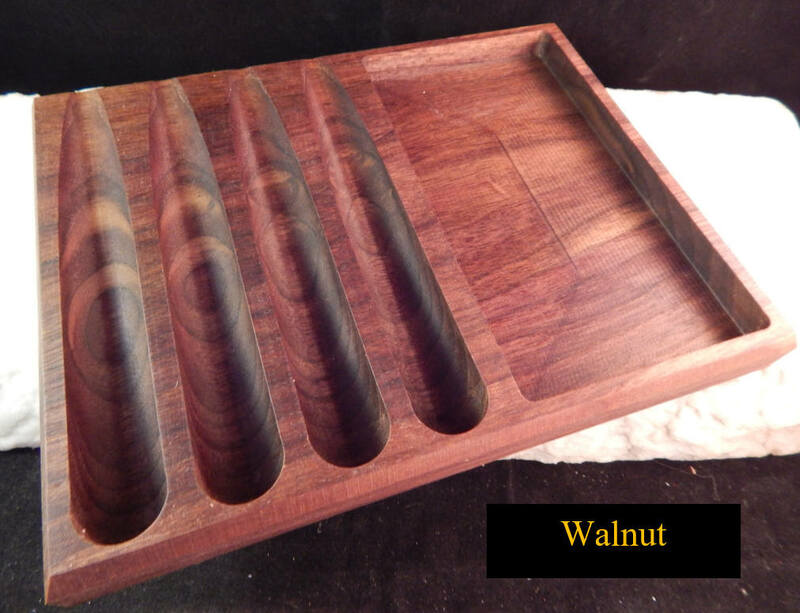 This pen tray is 7 5/8" wide, 6" deep, and 3/4" thick. The storage compartment is 2 7/8" wide and 5 3/8" long. 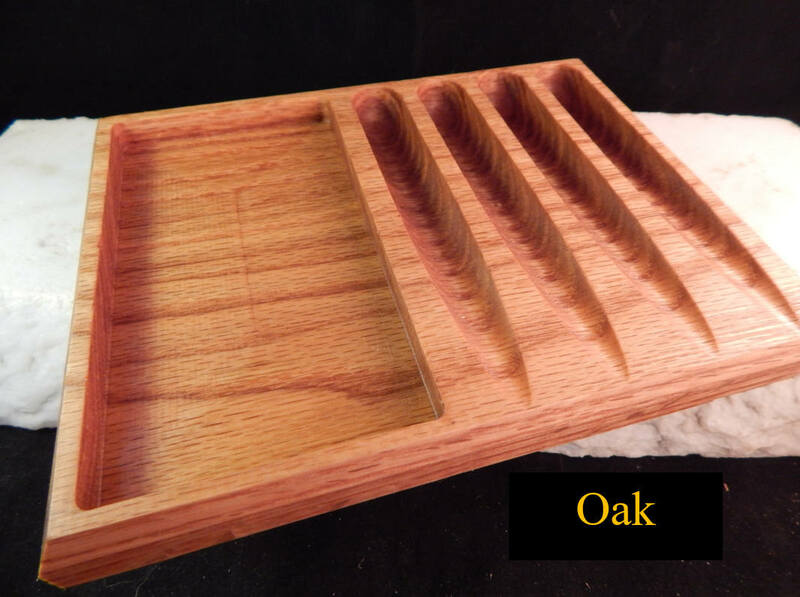 This tray will fit all pens we make. 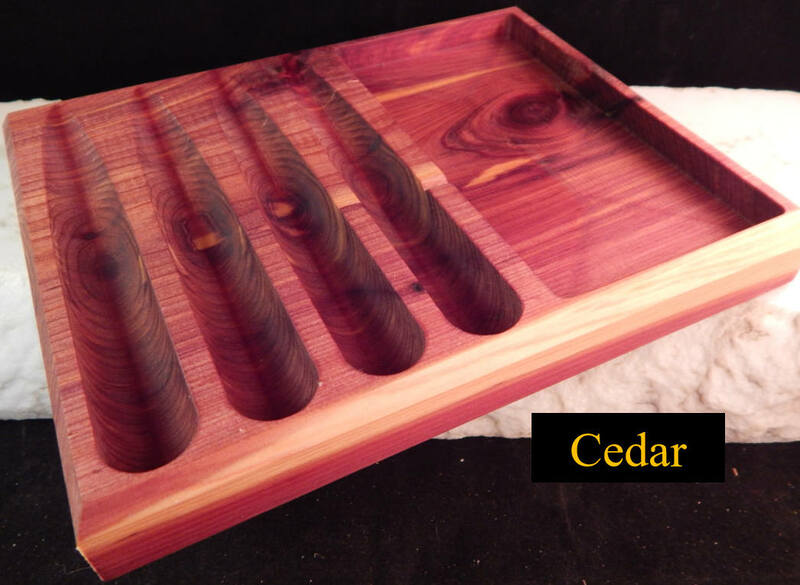 The tray does have a Danish Oil finish on it. 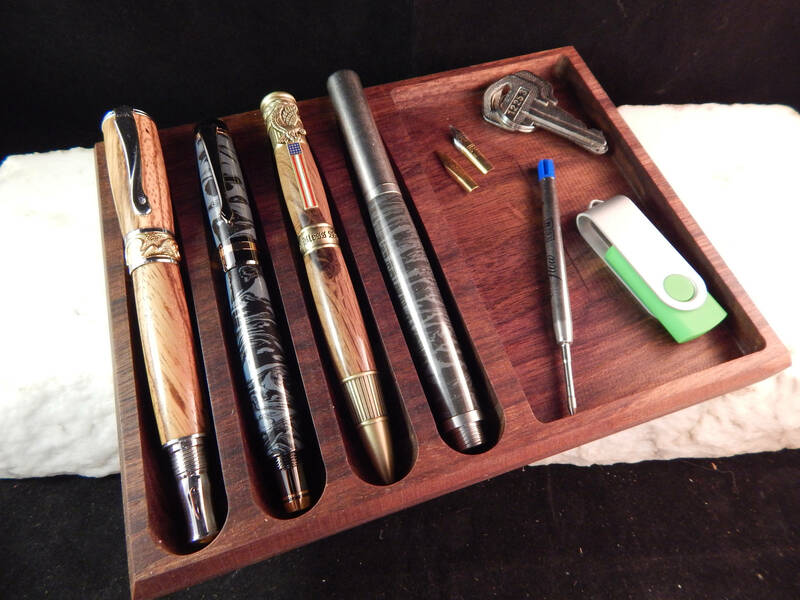 We make several pen trays at one time. 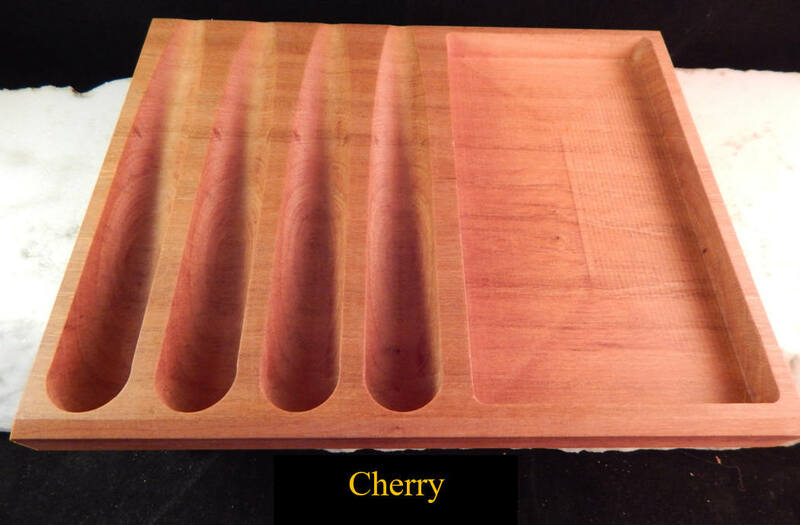 The pen tray pictured may not be the exact one shipped. Wood grain and color may differ from tray to tray. What can I say? It is absolutely wonderful! This is a Father's Day gift and I know he'll love it! Item shipped quickly and came in perfect condition.